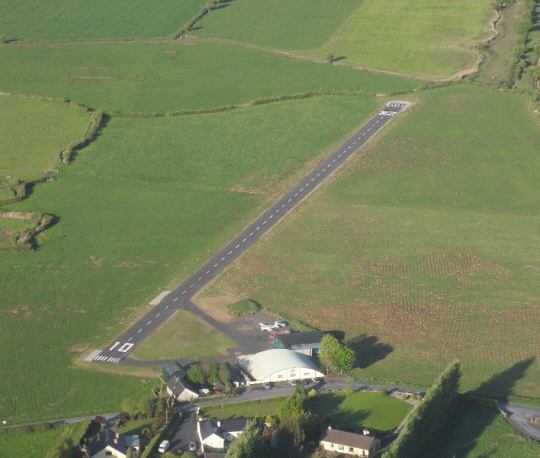 We have provided a map of our aerodrome circuit and an overhead image of our airfield below for your convienence. Just click on the images below to enlarge. Circuit height is 800ft QFE. 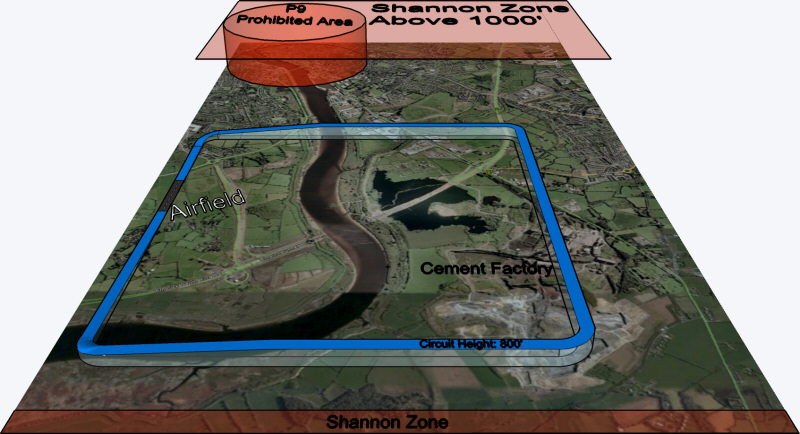 When joining the circuit, an overhead join is preferred at a height of 1000ft, taking care not to enter the Shannon Zone upon arrival. Base turns for 10 and downwind turns for 28 are made outside the cement factory. Please note that P9 - Limerick Prison prohibited area is not to be encroached at any time. Disclaimer: This information is provided as a guide only. It is the pilot's resposibility to fully brief themselves.